The Definition of User. User here means anyone who acesses the site for any purpose, including registered users and any comodity or service payers on this site. Specifically, a user is anyone who has legal access to the site by his or her actual or apparent authority. 1.4, Electronical Communication. As you visit the site and send customer requests, you are communicating with the Site electronically. On account of your consent to the communication, the site will communicate with you by e-mail or posting site notices. 2.1, Users shall abide by the regualtion that they cannot copy, reproduce or download any information, text, images, video clips, directories, files, databases or listings available on the site for the purpose of re-selling or re-distributing the site’s content. Neither can they operate a business to compete with the site, or mail the site’s content in mass or exploit the site’s content commercially. 2.2, Direct or indirect systematic retrieval of the site’s content to create or compile a collection, database or directory by any means without written permission from the site is prohibited. In addition, use of the content or materials for any purpose not expressly permitted in this agreement is also prohibited. 2.3, The site is not responsible for the accuracy, propriety or lawfulness of any third party content, and shall not be liable to any user in connection with such third party content. Besides, the site is not responsible for the conduct of any user, or weibsites, content, products or services available via hyperlinks by third parties. 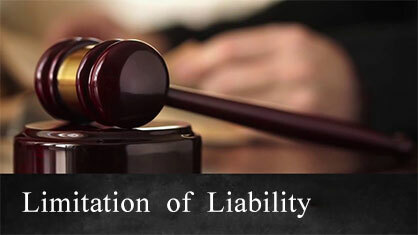 The site shall not be liable to anyone in connection with any damage caused on account of such conduct and third parties’ content. 2.7, The site and/or its affiliates will in appropriate circumstances terminate the accounts of users who are repeat infringers of intellectual property rights or other legitimate rights. Besides, the site reserves the right to terminate the account of a user upon any single infringement of the above-mentioned rights. The site’s has sole discretion to terminate any account found be to harmful to the interests of the site, its affiliates or other users. iHousmile.com is the sole owner or lawful licensee of all the rights to the site and its content. The site’s content embodies trade secrets and intellectual property rights protected under worldwide copyright and other laws. All title, ownership and intellectual property rights in the site shall remain with Housmile, its affiliates or licensors of the site’s content, as the case may be. All rights not otherwise claimed under this agreement or by IHousmile.com are hereby reserved. “Housmile”, “iHousmile.com” and related icons and logos are registered trademarks or trademarks or service marks of the site, in various jurisdictions and are protected under applicable copyright, trademark and other proprietary rights laws. The unauthorized copying, modification, use or publication of these marks is strictly prohibited. Housmile respects the intllectual property rights of others, and expects all users to do the same. Unauthorized use of another party’s materials and trademarks is forbidden on the site. If you clearly confirm that a listing on the site infringes your copyright, trademark, patent or other intellectual property rights, you may complete Housmile’s Notice of Claimed IPR Infringement Form and email it to Housmile (Housmile.abuse@gmail.com). 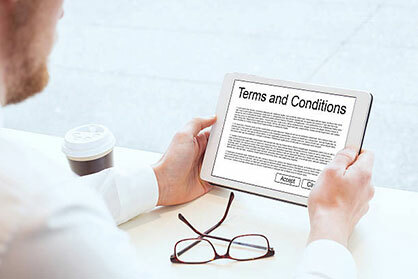 The completed Notice should specifically identify the seller and each and every link which is claimed to be infringing your rights (specific URL). All users hereby agree to indemnify and save the site, its affiliates, directors, officers and employees harmless, from any and all losses, claims, liabilities (including legal costs on a full indemnity basis) which may arise from a certain user’s use of the site (including but not limited to the display of such a user’s information on the site) or from its breach of any of the terms and conditions of this agreement. >The features and services on the site are provided on an “as is” and “as available” basis, and IHousmile.com hereby expressly disclaims any and all warranties, express or implied, including but not limited to any warranties of condition, quality, durability, performance, accuracy, reliability, merchantability or fitness for a particular purpose. All such warranties, representations, conditions, undertakings and terms are hereby excluded. >Housmile makes no reperesentations or warranties about the validity, accuracy, correctness, reliability, quality, stability, completeness or currentness of any information provided on the site. Housmile does not represent or warranty that the manufacture, importation, export,distribution, offer, display, purchase, sale and use of products or services offered or displayed on the site does not violate any third party rights. 4.2, Any material downloaded or obtained through the site is done at each user’s sole discretion and risk and each user is solely responsible for any damage to its computer system or loss of data that results from the download of any such material. No oral and written advice or information obtained by any user from the site shall create any warranty not expressly stated herein. 4.3, Under no circumstances shall Housmile be held liable for any delay or failure or disruption of the content or services delivered through the site resulting directly or indirectly from acts of nature, forces or causes beyond its reasonable control, including without limitation, Internet failures, computer, telecommunications or any other equipment failures, electrical power failures, etc. 5.1, Housmile’s failure to enforce any right or failure to act with respect to any breach by a user under this agreement will not waive that right nor waives Housmile’s right to act with respect with subsequent or similar breaches. 5.2, Housmile shall have the right to assign this agreement (including all of its rights, titles, benefits, interests, and obligations and duties in this Agreement). The users may not assign, in whole or part, this agreement to any person or entity. 5.3, This agreement shall be governed by the laws of the people’s Republic of China without regard to its conflict of law provisions. The parties to this agreement hereby submit to the exclusive jurisdiction of the courts of China. 5.4, If there is any discrepancy between the English version and another language version of this agreement, the English language version shall prevail.